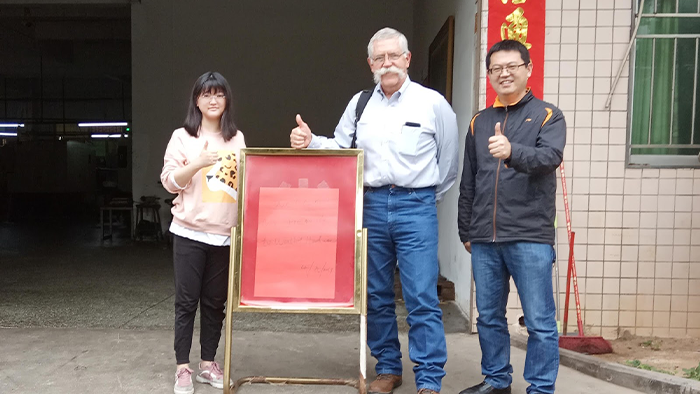 On 15th April 2019,our customer from America Mr Jeremiah visited us . Firstly Mr Jeremiah have shared the information about the project, including die casting parts, cnc turning parts. Also we introduce our main service cnc machining and turning to him. Mr.Jeremiah show us his high precision die casting part. We made a preliminary test on the product and have a nice conversation about the product. Secondly we have a discussion about our cnc machining service and show him some videos about the quality comments from our other customers. Also we invited our engineer team to show him our manufacturing technique and full inspection process. We are very happy to have you here, and know your requirement for quality and professionalism.Thank you again for visiting.